For many parents, cosigning a private student loan for your college student may be necessary to secure additional financing for school-related expenses. By adding your name to the student loan, you’re giving your student access to credit that they may not otherwise qualify for, which can help improve a student’s chances for private student loan approval and a lower interest rate. What you may not realize, however, is that your own credit standing is also on the line. As a cosigner, you are equally responsible for repaying the student loan. 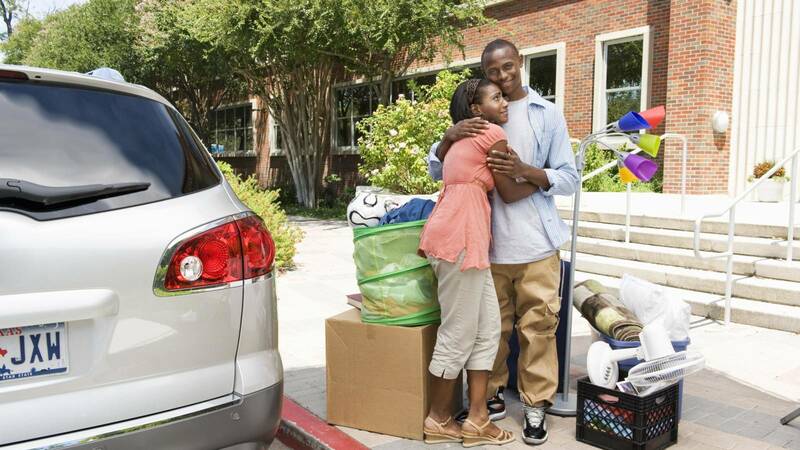 Here are some cosigning considerations to discuss with your teen before you sign on the dotted line. While you may have agreed with your student that they will pay all of their student loan or credit card payments after graduation, you should be aware that the lender will come to you as the cosigner if that obligation is not being met. Discuss with your child the consequences of missing a payment, and help them learn how to stay on top of their finances. How does cosigning affect your credit and your teen’s? Building a good credit profile is important and cosigning a student loan with your child can help them get a jump-start on that process. That said, each party is equally responsible to pay off the loan, and both the parent’s and child’s credit scores may be impacted negatively or positively based on payment behavior. It’s important to discuss the factors that affect credit scores with your teen, and why it’s so important to be responsible when it comes to financial obligations. Until your college student gets used to dealing with financial matters, you might want to make a plan to stay in the loop. Whether it’s accessing the online account so you can monitor activity, or sending reminders about when a bill comes due, there’s nothing wrong with keeping an eye on things. Talk to your teen in advance and agree on how you’ll check in so that there are no conflicts about boundary issues later on. Eventually, your child will be more financially independent, have a steady income, and have hopefully built up their credit. Before you cosign, investigate options for removing your name from your student’s debt obligations at a later date and discuss this with them. For instance, they may be able to release you as a cosigner on the student loan or consolidate them under their own name. All parents have great intentions when they cosign a student loan for their child, but it’s important to manage expectations and talk through scenarios from the beginning. Cosigning will affect not only your credit history but also your family dynamics, so think it through carefully and set expectations.